*Illustration may show accessories that are available at extra cost. 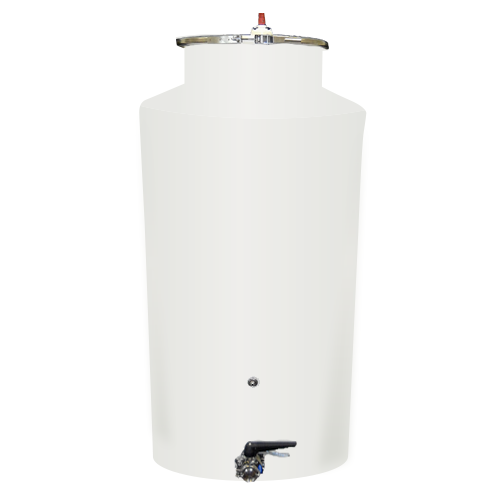 * Self-supporting cylindrical tank offers good value in dollars per gallon terms. Excellent access through the 19 in. diameter clamp lid for cleaning, blending, and mixing. May be mounted on a pallet for mobility with a pallet jack or fork truck. Sized for low ceilinged areas. Accessories may be purchased separately.